Go karting is the perfect entry point into motorsports. It can give you or your kids a sense of how to handle a motor vehicle before moving up to an ATV, UTV, or dirt bike. 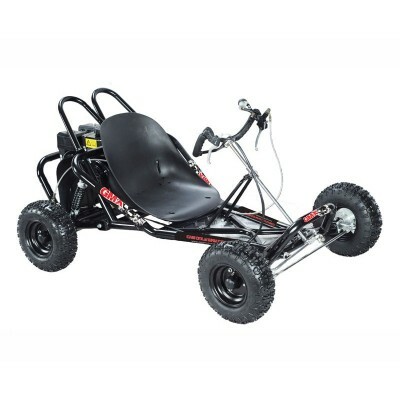 Go karts are also a tremendous amount of fun and are perfect for family functions, camps, adventure parks and other settings. If you are looking to buy a go kart online, GMX Motorbikes can help you find the right vehicle for the job. We know the market: We have been operating since 1996 and have over 30 years of combined experience working with small engines. Our knowledge of ATVs, UTVs, dune buggies, and dirt bikes make us the perfect people to sell you a go kart. Whether you are just looking for a fun leisure racing activity or eventually want to graduate to an ATV or dune buggy, we know how to advise you. We are trustworthy: We back everything we sell—including our go karts—with generous warranty coverage. These warranties include 12 months of protection against manufacturer defects and 30 days to three months of replacement parts protection (depending on the parts). We offer easy payment options: Perhaps you want to buy your go kart in full now, or maybe you want to buy it now and pay over time. At GMX Motorbikes, we offer multiple payment options—including interest-free payments over time with Oxipay. Whether you are buying your first go kart or are building a whole fleet for trail racing, we are here to make your life easier. Not learning everything you can: Go karting is one of the cheapest motorsports, but a brand-new go kart is still an investment! Make sure you learn everything you can about your kart before you buy. At GMX Motorsports, we have a lot of information available for every product we sell—including descriptions, specifications, warranty details and more. Not looking for a money back guarantee: There is nothing wrong with buying a go kart online, but you should make sure you have an insurance policy in case the kart isn’t what you wanted or expected. GMX Motorsports provides that insurance policy in the form of a 14-day money back guarantee. Not checking out the kart in person: If you’re well-versed in the world of go karts, buying online is faster and more convenient than going to a store. However, if you are a first-time buyer, you can learn a lot by seeing the kart in person before you buy. At GMX Motorsports, we have our online store but also have an extensive two-level showroom in Ravenhall, VIC. We’d love to see you! Between fairly-priced motorsport equipment, warranty coverage, money back guarantees, spare parts and financing or layby options available for everything we sell, GMX Motorbikes is a place that gives you top value and peace of mind for your money. 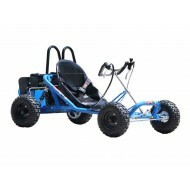 Contact us today if you are ready to buy a go kart in Australia. Karting is one of the cheapest forms of motorsports around, it is a great starting point for lea..